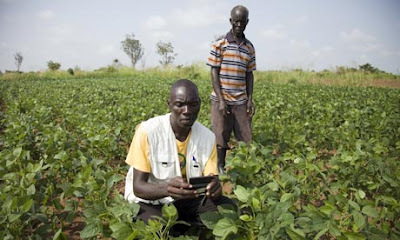 Maximizing Progress: Africans Mobilized ~ A Tele-Economic Revolution! 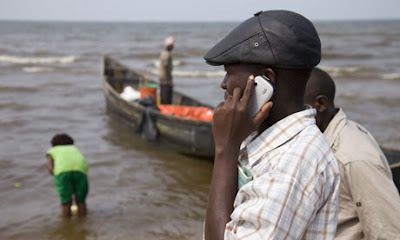 "Half of Africa's one billion population has a mobile phone -- and not just for talking. The power of telephony is forging a new enterprise culture, from banking to agriculture to healthcare. 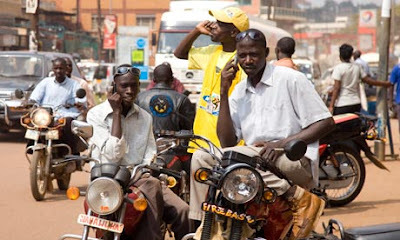 [...] Africa has experienced an incredible boom in mobile phone use over the past decade. In 1998, there were fewer than four million mobiles on the continent. Today, there are more than 500 million. In Uganda alone, 10 million people, or about 30% of the population, own a mobile phone, and that number is growing rapidly every year. For Ugandans, these ubiquitous devices are more than just a handy way of communicating on the fly: they are a way of life. It may seem unlikely, given its track record in technological development, but Africa is at the centre of a mobile revolution. In the west, we have been adapting mobile phones to be more like our computers: the smartphone could be described as a PC for your pocket. In Africa, where a billion people use only 4% of the world's electricity, many cannot afford to charge a computer, let alone buy one. This has led phone users and developers to be more resourceful, and African mobiles are being used to do things that the developed world is only now beginning to pick up on."